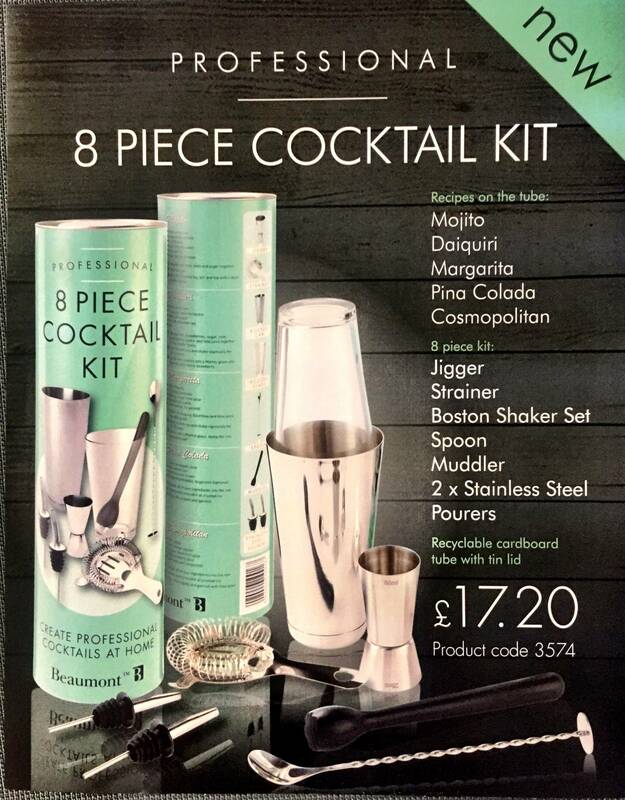 Excellent gift & great value 8 piece cocktail kit, in a recyclable cardboard tube with tin lid. 1x Jigger 1x strainer 1x boston can 1x boston glass 1x muddler 1x bar spoon & 2 stainless steel pourers. Mojito, Daiquiri, Margarita, Pina Colada & Cosmopolitan.